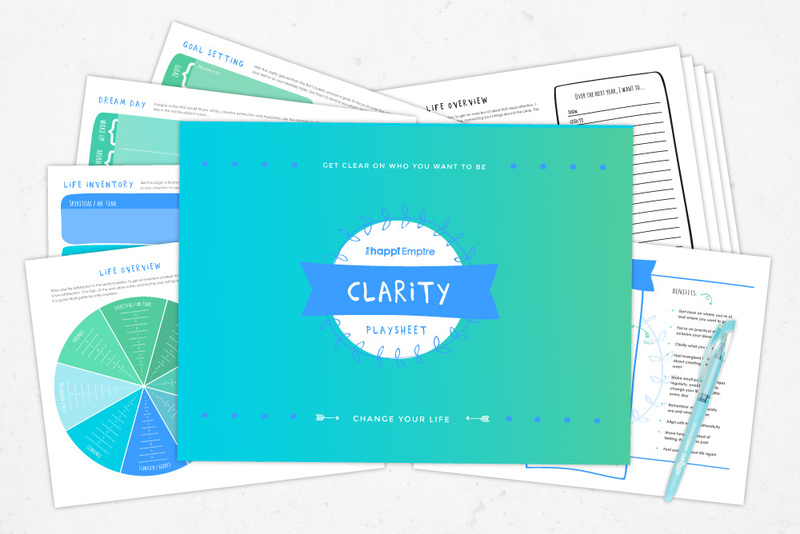 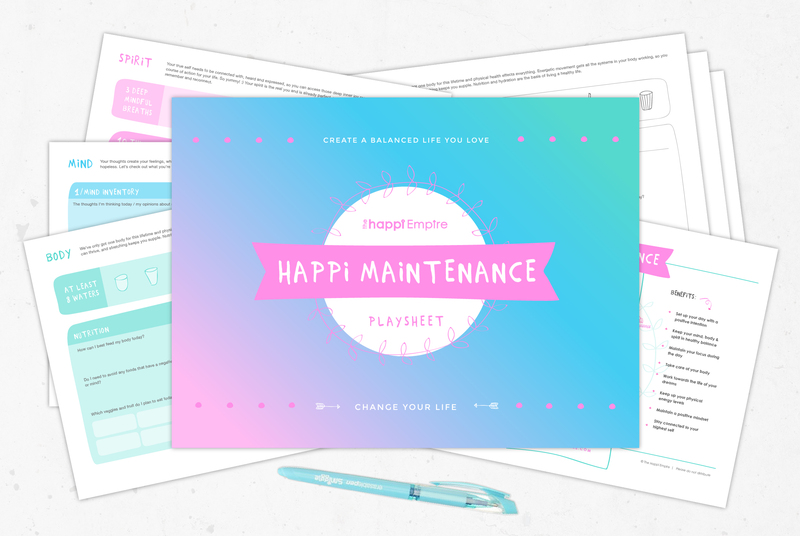 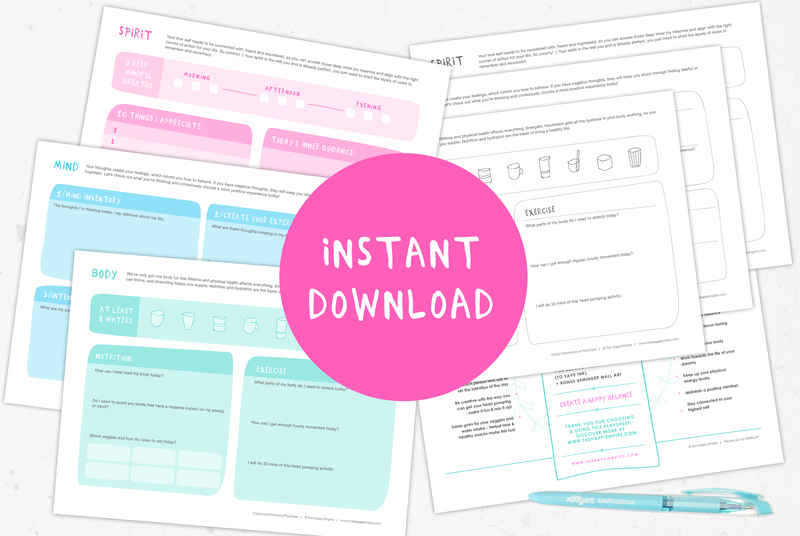 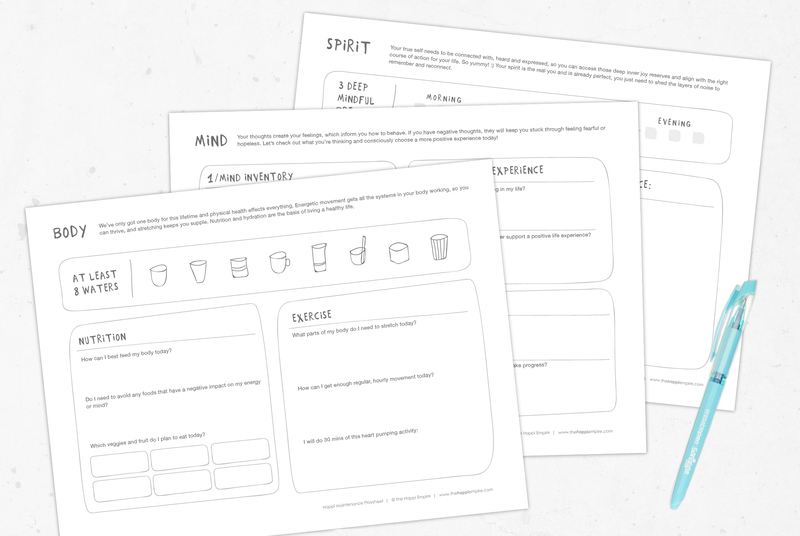 This instantly downloadable PDF playsheet takes you through a daily process to practice regular self-care for your mind, body and spirit. 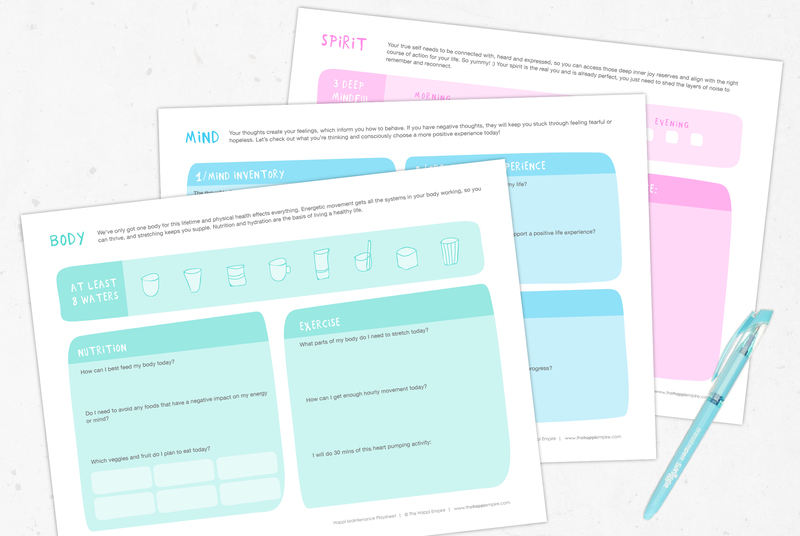 Self-care for mind, body & spirit is just as important as brushing ones teeth in the morn. Adding this playsheet to your morning routine will be wildly beneficial for a strong connection to you, and the maintenance of your inner happiness. 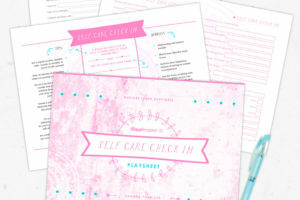 This beautiful, simple practice of self-care will balance out your energy and give you space to focus, process & give energy to the things that will make your life flow awesomely well.